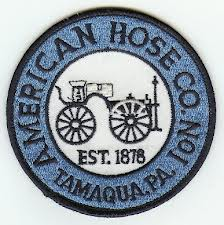 1847: AHCO and East End dispatched to area of Pine and Mauch Chunk ST for a vehicle fire. E776 responded, vehicle just outside the corner of AHCO engine room, engine compartment fully involved. Piercing nozzle and secondary line pulled. Fire knocked down quickly. E778 then responded with C773 to a chemical spill. AHCO wrapped up the scene, vehicle towed.